Open water swimming in childhood meant freedom. Freedom from the pool’s chlorine and lifeguard’s rules about belly flops. Freedom from the drudgery of laps. 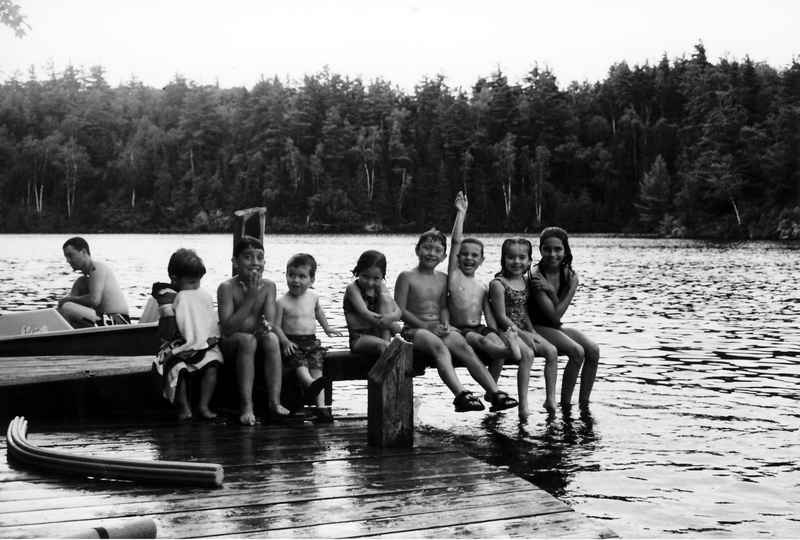 Sadly, most of us left that open water swim behind when we ran out of years with summer vacations. But something is changing. Open water swimming is becoming one of the fastest growing watersports of the last decade. 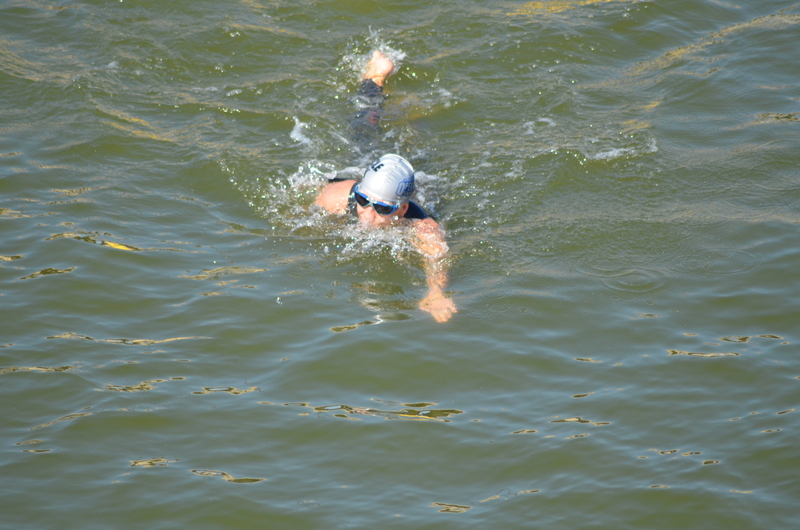 Marathon swimmer Josh Reid is part of that change. Reid is co-organizer of the RE7 North Shore Challenge for Camp Trillium with Annaleise Carr. 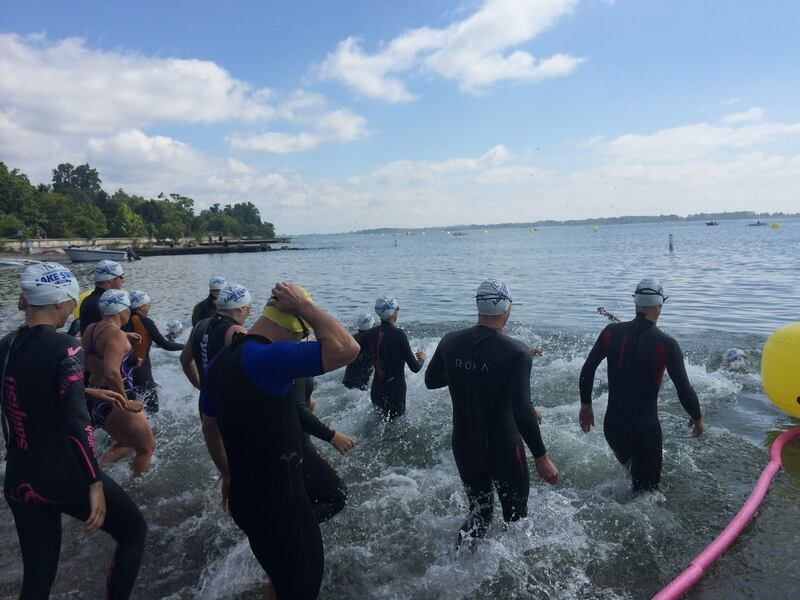 It is the inaugural year for the North Shore Challenge at Turkey Point on Lake Erie. The race is also part of the Global Swim Series. Reid says a lot of open water swimmers come from triathlon, but he also credits the rise in popularity to the fact that more people are staying active longer in life. Swimming is easy on the joints and the pocketbook. If you’re far enough south all you need is a swimsuit and goggles. Flailing limbs and jockeying for position have produced many a black eye, bruises and sore ribs. Around the world, open water distance swimming takes place in all types of water, from rivers to oceans. Each location has its own challenges. Rivers have currents. Cold waters can lead to hypothermia. Bacteria can cause illness. The movement of open water can cause vertigo and vomiting. Oceans, of course, have any number of co-habitants, including jellyfish and sharks. Pace is important when you’re swimming distances, but the greats are the ones who can retain body heat. That extra layer is counterintuitive to the other two parts of a triathlon, the cycling and running. That’s part of the reason open water swimming is growing in popularity: it appeals to athletes with different builds. If you’re not built to run far, you just might have the perfect body type to swim farther and longer. Races range from the 750 meter sprint up to the 10km marathon distance. (That 10km is what premiered at the Beijing Summer Olympics in 2008.) 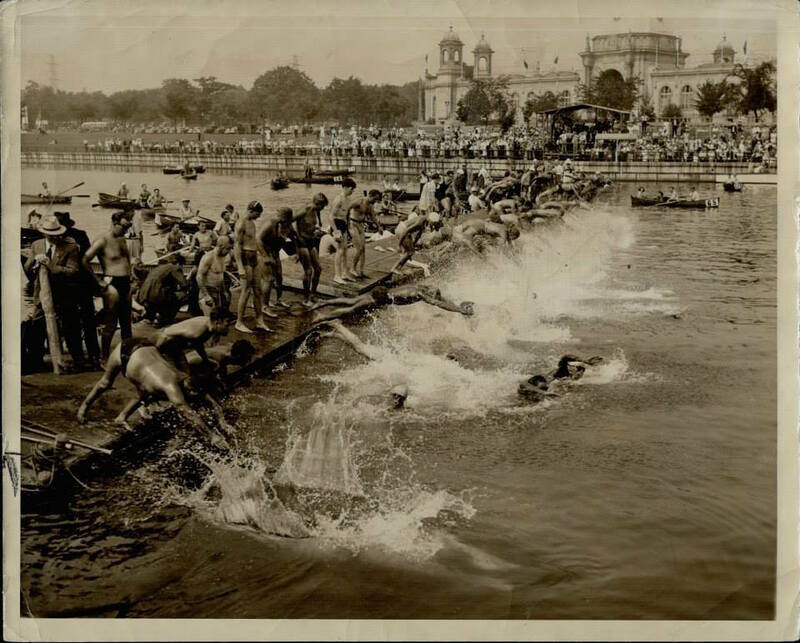 But despite the sport’s recent growth at the club level and its introduction into the Olympics, open water distance swimming is nothing new. The earliest known swims were held in Japan and then Europe during Roman Times. The sport was popular in the early 20th Century in North America. Crowds in the tens of thousands flocked to Toronto, Canada’s largest city, in the 1930s. They came to cheer on local favourites for purses that would equal hundreds of thousands of dollars today. Huge crowds, big paycheques, and ticker tape parades awaited winners like Marilyn Bell and Winnie Roach Leuszler. Then, like a ship that went under, or the feeling of flinging yourself headlong off a dock, our fascination with open water swimming was forgotten. For some, poor water quality played a part in the sport’s decline. “We turned our back on the lake,” says Steve Hulford, co-founder of the Toronto Island Lake Swim. Hulford and his partner Bill Poole co-founded the race that takes place at Centre Island Pier, now heading into its third year. When Hulford and Poole came up with the idea for the race, they did a trial run and then shared the results on Facebook. They were surprised at how many people wrote back to ask if they’d turned green or what it was like to swim in a garbage dump. “We’ve just been told for years Lake Ontario is dirty, don’t swim in it, but it is probably the cleanest it’s been in generations. Obviously there’s still a lot of work to be done and problems with plastics and pollution, but we can actually swim there.” His desire to bring people back to the lake is the main reason Hulford teamed up with Lake Ontario Waterkeeper, the creator of Swim Guide. Hulford sees the race not just as a great opportunity for swimmers to challenge themselves, but also as a chance to educate the public about water quality standards and what’s going on in their own lake. He’s not alone. Open water swimming is surging everywhere. Some credit the introduction of the sport in Beijing. Others say it parallels the growing popularity of triathlons. Whatever the motivation, open water swimming is bringing more people back to the water. In the process, it’s helping us re-capture that free spirit of the childhood challenge.